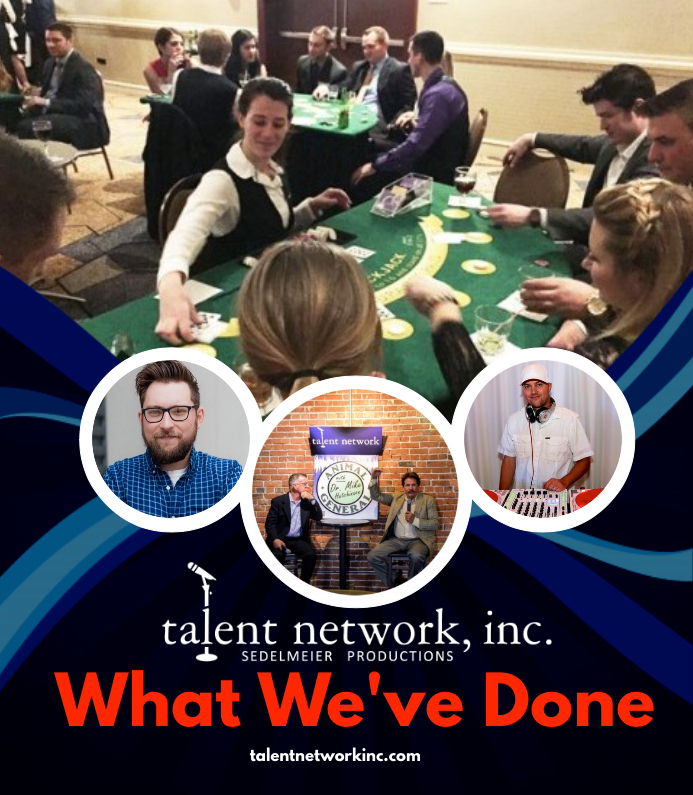 WHAT We've Done- talent network, inc. - talent network, inc.
talent network, inc. has worked with comedians who have appeared on Comedy Central, Netflix and much more! Musicians range from Keith Urban to Rob Thomas from Matchbox 20. The network has experience with making sure clients are matched with the perfect entertainment for their event/venue. Take a look at the webpage designed to see exactly who talent network has had the pleasure of working with and what events they’ve been apart of.